Is money really the root of all evil? That’s a bigger question than we’re able to answer in this annual issue. Though, as Dharma Pugliese, financial guru of the Holistic School of Business, asserts: “Money is energy.” The residents of Living Well Group might agree with that Zen-like take — they’re energized by the retirement home’s holistic approach to aging. 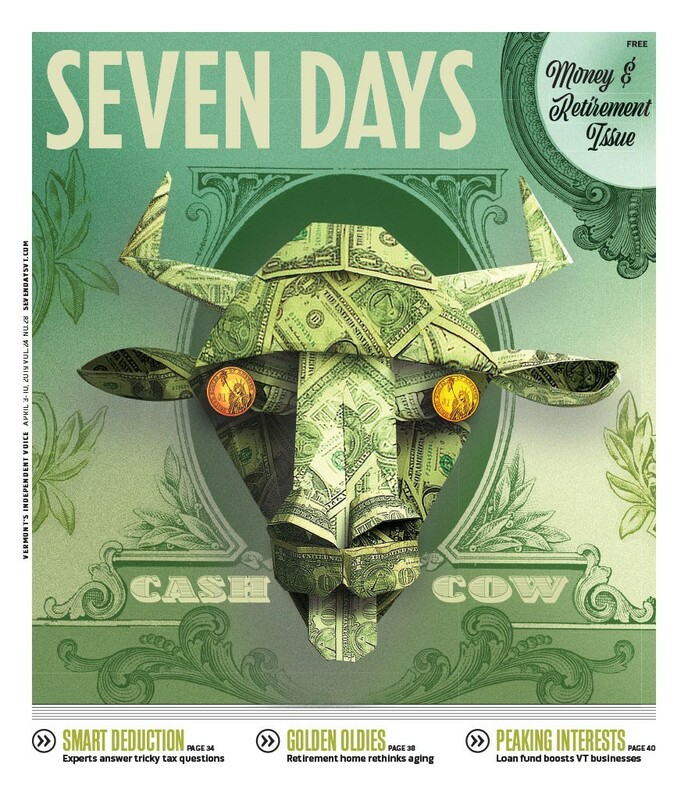 The Vermont Community Loan Fund has jump-started businesses all over the state, turning several into cash cows like our friend on the cover. And creative types are increasingly turning to generous patrons to kickstart their art. Then again, several local seniors have fallen victim, emotionally and financially, to relationship scams Meanwhile, some part-time Vermonters might be fleeing the state to dodge taxes. That seems extreme, so we’d advise simply asking an expert (or two!) for sound tax advice.